Due to manufacturing variances, limitations of computer screens and the variation in natural lighting, actual colors may vary from the images you see here. Please order a sample or visit your local dealer to see actual products. Includes 1 qt. of stain, for Cannon Grey. Cannot be used to touch up Laminate - High Gloss door styles; matte sheen will match box and accessories that are not high gloss. Quarts of stain are not eligible for returns, all sales are final. 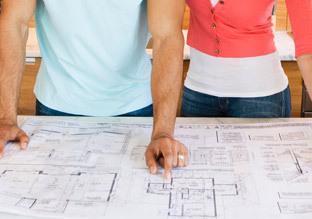 We want you to feel confident in the material, finish and style you have chosen to transform your space. That's why we are pleased to offer finish and door samples that let you touch and experience the product in your home. 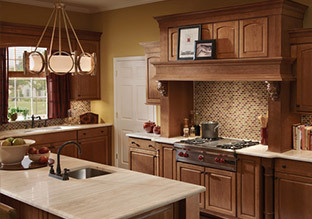 For a limited time, we're offering a rebate on all samples when you purchase $1,000 or more of KraftMaid cabinetry. Learn more about the sample rebate program. Each finish sample is 4" x 3.25". They are priced at $3 each with free standard shipping. To order samples, select "Order a Finish Chip" and add the desired samples to your shopping cart. Each door sample is approximately 15" x 15". They are priced at $50 each with free standard shipping. To order samples, select "Order a Door Sample" and add the desired samples to your shopping cart. FIND YOUR INSPIRATION Let our extensive photo gallery inspire you. 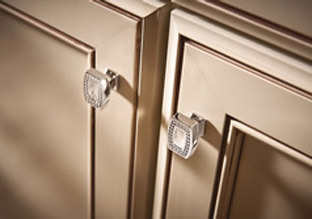 PICK YOUR HARDWARE Find the perfect hardware for your cabinets. Sign up to receive information about our special offers, promotions, and product updates. Don't worry, your privacy is secure.